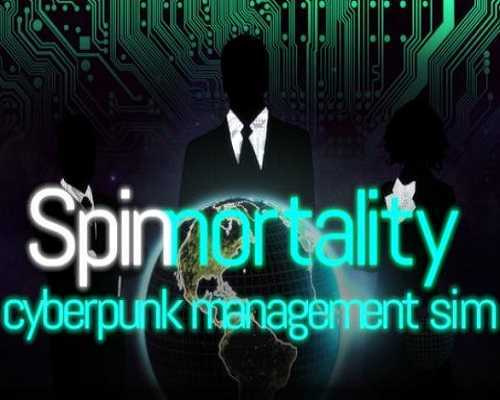 Spinnortality cyberpunk management sim is a Simulation and Strategy game for PC published by James Patton in 2019. Governments control in your hands! Play as a megacorporation and fill your company with borderline rogue AIs. And then fund some rebels in South America to overthrow the local government and install a fake government so you can lower the tax rates. Found a powerful corporation. Use it to market horrific products, control the media, cause riots, crash stock markets, topple governments and become immortal. Spinnortality is set in a harrowing cyberpunk world where corporations are king. Nations have merged into massive, politically stagnant super-states. Some are so-called “democracies”, some are dictatorships, and some are ultra-capitalist dystopias. These societies are in a state of flux; your company will determine their future. As head of a global megacorp, your first priority is turning a profit. Before long, though, you’ll be manipulating politics, deregulating industries, launching black ops to destabilize the globe and advancing shady corporate agendas. It is a management game, but aside from money and product, there’s little actual managing. It would have been interesting to see actual resource management such as precious metals, forests, ores, etc. Having to do business with other huge companies as well as manipulating their governments to put them at a disadvantage would have been a very interesting mechanic. 0 Comments ON " Spinnortality cyberpunk management sim Free "